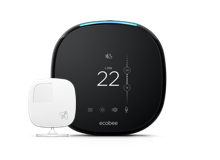 Austin Energy wants to reward you for conserving energy by paying you $85 to enroll your ecobee thermostat into the smart energy savings program to help avoid power outages in your community. On really hot summer days, when demand for electricity is highest, Austin Energy will automatically adjust the setting by a few degrees Fahrenheit on your thermostat for no more than 2 hours, usually on weekdays between 3-6pm. 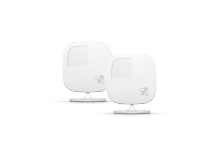 Sign up for Austin Energy’s smart energy savings program and get $85 for each ecobee thermostat you own. Click here to apply to the smart energy savings program. Enrolling only takes a few minutes, but make sure to have your account number ready. Applications will take 4-6 weeks to be processed. After being approved, you will receive a $85 check in the mail. 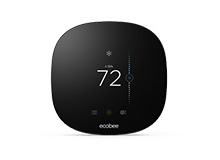 NOTE: Austin Energy offers an additional $25 rebate for simply purchasing and installing a new ecobee thermostat. To apply for this separate rebate, visit www.austinenergy.com/go/powerpartner and click the "Apply Online" button under the How to Apply tab. Your rebate will be processed within 4-6 weeks. Enroll today, save more, and live comfortably.